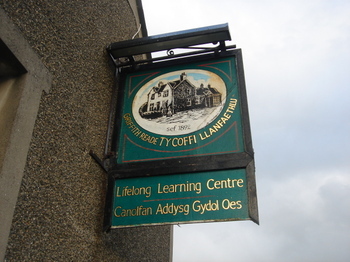 Llanfaethlu is an unassuming but friendly little village in the furthest corner of Anglesey. It's not somewhere you'd expect to find a place like this coffee house, but it's a rare treat. It was apparently donated to the village by a lady of the manor in the 1890s. She wanted the villagers to socialise in a teetotal environment and so gave it to a trust with a 999 year lease. 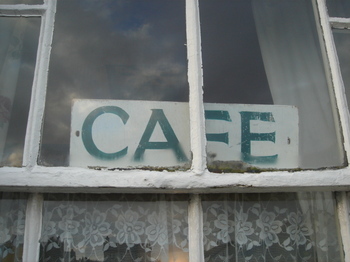 As well as the original coffee house it now serves as chipshop, community centre, shop and post office. What a splendid thing to give to a village. 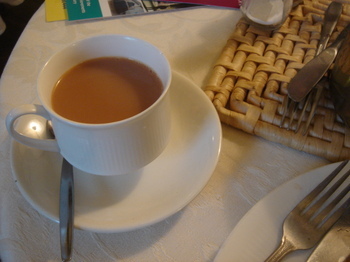 Very nice cup of tea, as you'd expect. A lovely combination of classic fittings and modern accoutrements. Which reflects the atmosphere of the place. 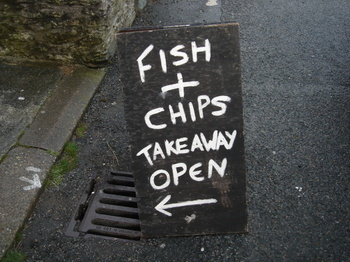 That nice Welsh combination of friendliness and respecting your privacy. 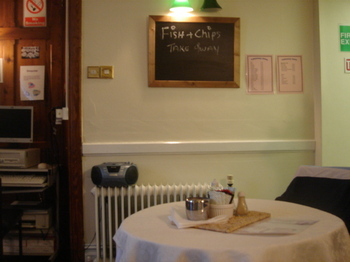 We had an excellent, quiet cup of tea (and some fantastic fish and chips), while in the hall next door there seemed to be a tap-dancing session. 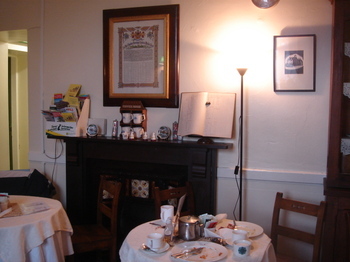 The book on the side appears to be an accounts book from the history of the cafe. There's all sorts of interesting little bits of history around the place. 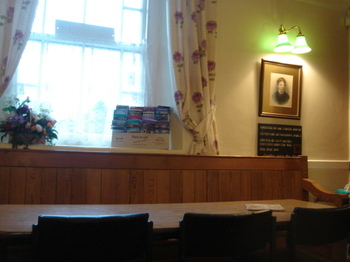 I think that's Lady Reade on the wall (she's the teetotal benefactor). Hurrah for Lady Reade. Just the sign you're looking for when you're heading home after a lovely long day collecting shells and scrutinising rockpools.